Nigeria midfielder Ogenyi Onazi is still targeting a move to England in the next transfer window. However, the 24-year-old has his sights on the Premier League despite being on the brink of joining Birmingham City last month. Blues thought they had everything lined up only for Onazi to be denied a work permit and for the transfer to fall through. 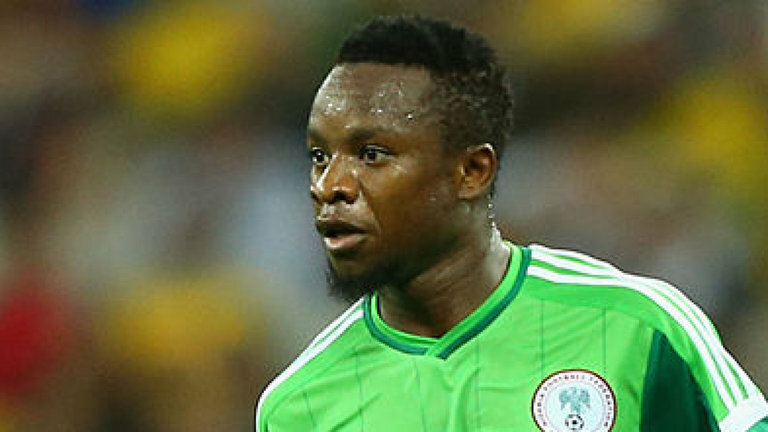 But Onazi, who scored for Trabzonspor on Sunday, remains optimistic. Asked about playing in the top flight he said: “I believe in the next transfer window it’s going to happen. Now we know what we need to do to make everything happen,” he told the BBC . “Of course that [England] is one of the places I want to play before thinking about retiring. But he denies he is downhearted after missing out on the chance to ‘start another life’ - having begun his career at Lazio before switching to Turkey in August 2016. “Every disappointment is a blessing. I’m not disappointed,” he added. “I’m still strong, working hard, because I know there are better chances ahead. His first goal of the season came after he played in all but three minutes of Nigeria’s two 2018 World Cup qualifiers against Cameroon, which means he has appeared in all four matches as they lead Group B in Africa. He also played in all four of the Super Eagles’ games at Brazil 2014.